Since before Terry Rees could remember, he spent his summers at his parents’ cottage on Lake Kasshabog. A young teacher at Kenner Collegiate and Vocational Institute in Peterborough, Terry’s father purchased the Long Island property in the 1950s. “I spent every summer there while I was growing up, at least until I was sixteen,” says Mr. Rees, now the executive director of the Federation of Ontario Cottagers’ Associations (FOCA). 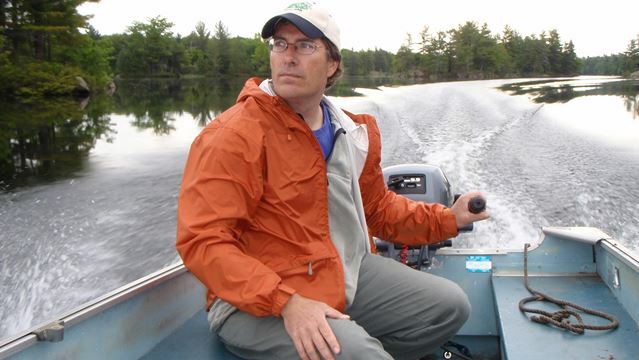 That passion for the water drove Mr. Rees to volunteer for the local cottagers’ association, eventually becoming president of the group before moving on to work with FOCA in 2004. “Many of the issues I got involved with to help my lake association with years ago are the same ones many lake communities are dealing with now,” he explains. “People are worried about maintaining the quality and integrity of the cottage experience, and have a fear of loss or change in the face of all of the development we are seeing near our lakefront communities. Mr. Rees inherited the family cottage and still spends much of his time there. Lifelong friends he made in his youth still visit their cottages in the summer months and his own children have formed a tight-knit community of friends there as well. The years Mr. Rees has spent at his own cottage have served him well in his position with FOCA as he has an intimate understanding of the concerns lakeside residents raise every year. FOCA represents more than 500 cottagers’ associations, which are made up mostly of volunteers. Mr. Rees notes the federation does what it can to support the volunteers so that they can continue to do the good work they do in our lakeside communities. One of the ways FOCA does that is by providing liability insurance for associations. “We also work with the Ministry of Finance to reduce costs, not only for cottagers’ associations but for all waterfront property owners,” he adds. When asked what embodies lakeside living for him, Mr. Rees is quick to respond. “One of the things that I love about the cottage lifestyle is the independence and problem solving that it encourages. I know that my children and I have thrived on it. Being able to go outdoors and roam free as a kid built a lot of self-management skills, and I was able to pass that on to my children. “I also love being so close to the water. You can swim whenever you want, any time of day. Being weightless in the water is a special feeling, and it is a connection that I have been able to share with my kids. We are so lucky to have so many lake communities in this region, each with its own unique character. These places are worth protecting. If we’re not mindful of developing in a way that respects the nature and atmosphere, our children won’t have that same experience that we did at the cottage. Cottage Dreams - Support a Cancer Survivor!